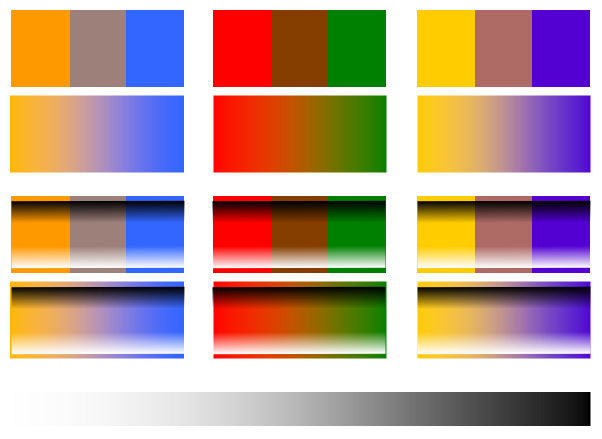 Published January 29, 2016 at 602 × 439 in Elements of Design: HUE, VALUE and INTENSITY. Color Tint Shade Tone Value Intensity – Eilee George of eileegeorge.com illustrates a unique color complement chart in her COLOR lesson – this is a copyrighted image ©2016 L. Eilee S. George, All Rights Reserved. Use by permission only.